TSSI SMTP Component (TSC) provides an easy way to enable the ASP, VB, Delphi, VBA, VC++, C#, VB.NET, JScript.NET, ASP.NET and other COM supportable programming/scripting languages to send PLAIN/RICH messages based on the SMTP/ESMTP protocol. 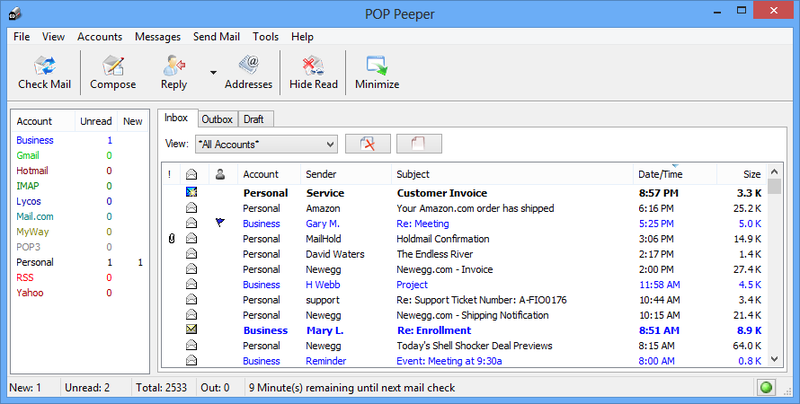 Auto Mail Sender (AMS) is a powerful and easy-to-use email sender, it can be used to send emails automatically at anytime and any frequency as you expect. Auto Mail Sender Free Download - we do not host any Auto Mail Sender torrent files or links of Auto Mail Sender on rapidshare.com, depositfiles.com, megaupload.com etc. All Auto Mail Sender download links are direct Auto Mail Sender download from publisher site or their selected mirrors. Important (I): supports to separate the recipients by newline and semicolon when manual inputting, to meet the habit of some users (in previous versions, only supports comma). Important (I): canceled the character limit of email content (plain mode)/source code (rich mode). In previous versions, they are 32,767 Unicode characters. I: made the username of SMTP account/proxy server case sensitive (in fact, most servers request it case sensitive). I: if you try to set the schedule and have not created any SMTP account, AMSSE will prompt and guide you to create a SMTP account, once finished, show the "Schedule setter" UI. In previous versions, it will prompt you but disable the <Add> button of the "Schedule setter" UI. Important (I): can directly use a file as the receivers source (previous can only select receivers from the files). Now you can manage your receivers conveniently and can make a standard receivers list. I: uses the new version of our own SMTP component, more powerful and stable! I: can get a notice by eMail when the license is about to expire, with "How many days in advance?" setting. A powerful, easy to use, feature-rich and fun email program.